Whether your home has a constant pressure well pump or a conventional system, your plumber at John’s Plumbing, Pumps, & Filtration, Inc. can provide you with the service you need. Is there consistent pressure at every faucet in your home? Does the system have safety backup features? Does the controller provide self-diagnosing alerts? What is the condition of the well overall? If you’re not sure of the answeres to these questions, give us a call. We can schedule a visit for an inspection and diagnosis of any areas that need maintenance or upgrading. We pledge to donate $10 for every $1000 in well/pump services we render for the drilling of a well in a community without access to clean drinking water. So, make someone’s wish come true and help an underprivileged community. 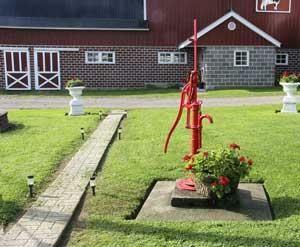 Our crew has been repairing, servicing, and installing water well system pumps for 60 years. Working with residential, commercial, and industrial pumps of every kind is our specialty. We work with high-quality product lines and offer first-rate warranties. Please call us for details and to schedule an appointment. At John’s Plumbing, we can meet any of your needs in regard to diagnosing, servicing, repairing or installing your water well pump/sewage systems. We can relocate, improve, economize and even enhance your current system to something that works best for your needs. 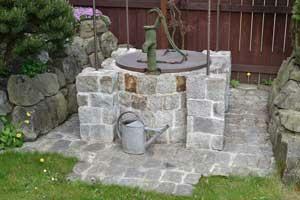 What Well Water Services do We Offer? A modern water tank allows well systems to provide water at the right pressure consistently. To accomplish this, wells are fitted with a pressurized storage tank so the pump doesn’t have to run continuously. The water is sourced from the ground and pumped to the tank by way of a submersible pump. Our plumbers are well-versed in well water plumbing installation, maintenance, and repair and offer affordable rates and reliable service no matter your needs. All well pumps, pipes, and tanks require maintenance eventually, but the best kind is preventative. Olympia property owners can avoid costly repairs by scheduling regular service to keep wells free from contaminants and damage. An inspection by one of our licensed plumbers is the first line of defense against corrosion and pollutants making their way into your water supply. Talk to us about winterizing your well system and how to take preventative measures against damage. We are also certified to install filtration systems to ensure the water that’s being supplied to your home is clean and has correctly balanced PH levels.